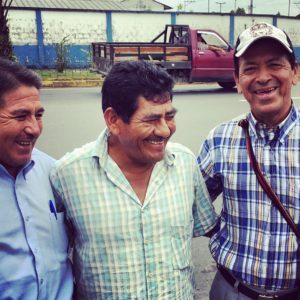 Washington, D.C. / Sept. 25, 2018 – Renowned U.S. human rights attorney Steven Donziger, who has helped impoverished communities in the Ecuadorian Amazon maintain a global litigation and advocacy effort against Chevron for over 25 years, filed a petition with the Inter-American Commission on Human Rights (IAHCR) on Monday. The petition details how Donziger has suffered a massive campaign of retaliatory litigation and media attacks from Chevron that has been facilitated by U.S. judicial and other institutions. Chevron has openly bragged of its efforts to “demonize Donziger,” has frozen Donziger’s bank accounts, and recently asked a U.S. court to imprison him. “What seems to be happening to Steven Donziger, given evidence in the public domain, is a serious case of judicial harassment – a sham process, wrapped up by the gentile world of the New York Bar as legitimate,” said Simon Taylor, a co-founder and director of Global Witness. “Instead, the attacks on Steven seem to have all the hallmarks of the kind of bullying and persecution we have documented and witnessed in countries around the world, where threats to corporate interests result in vicious counter-attacks. I am particularly concerned about what appears to be a continuing effort, invoking collateral estoppel, to deny Mr Donziger a public hearing to defend himself and to provide evidence. News tonight that Alejandro Soto, long-time community leader with the Frente de Defensa de la Amazonía and a friend, is dead in the cancer fields of Lago Agrio.